Are you ready for a winter warm up? Tired of gassing up your snow blower? 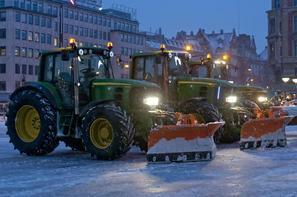 Can’t find the time to deal with the headache of snow removal? From commercial snow removal services to residential snow removal service Snow Removal Services Boston has you covered! We do everything to help you better maintain your property during the winter months. Whether you need help at your business or help at your home, Snow Removal Services Boston has a service tailor made for you! If you’re looking for a snow plow to clear your drive, a person to shovel your sidewalks or a comprehensive snow removal plan for your business, Snow Removal Services Boston always has a service solution designed just for you! We provide all the equipment, products and personnel so that you’ll never have to lift a finger. Stop imagining what it would be like to wake up to a freshly cleared driveway and start experiencing it today. ​Our snow removal company is dedicated to helping you experience winter better than ever before. Start enjoying the season, and stop struggling through it. With our commercial and residential snow services, maintaining your property on the snowiest and coldest days of the year will be easier than ever. Stop wasting your time doing the jobs you don’t want to do this winter, and start enjoying it! With Snow Removal Services Boston you’ll be amazed at how much time our snow experts can save you.